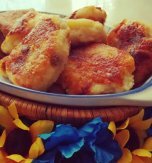 Nalysnyky are essentially delicate thin pancakes with a cheese filling, slathered in butter and baked until tender. 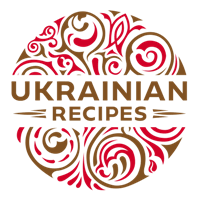 It is a traditional dish of the Ukrainian cuisine which Ukrainians have cooked for many years. This dish is rather versatile and can be served both as an everyday food and for special occasions. Whisk the egg with sugar until fluffy. Pour in milk and stir in flour. Whip until all ingredients are incorporated. Add vegetable oil and stir everything thoroughly. You should get a smooth batter with no lumps. Cover the batter with a napkin and leave it under room temperature for 2 hours to let gluten in flour swell. This helps prevent pancakes from tearing, which is especially good when you need to fry super thin pancakes. If you don’t have so much time, you can leave the batter for 30-40 minutes. Pour in warm water, stir the batter again. Grease the frying pan with vegetable oil and preheat it. 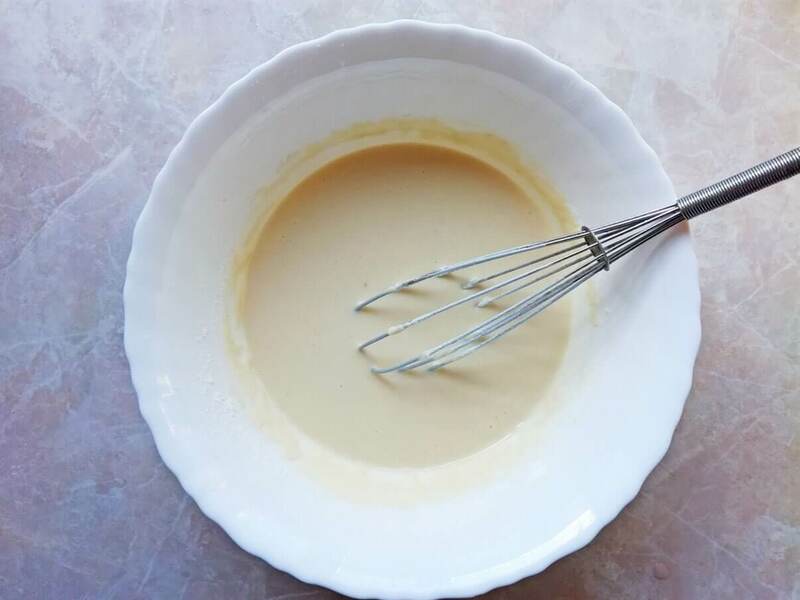 Pour some batter in the pan (the amount of batter depends on the diameter of your frying pan). 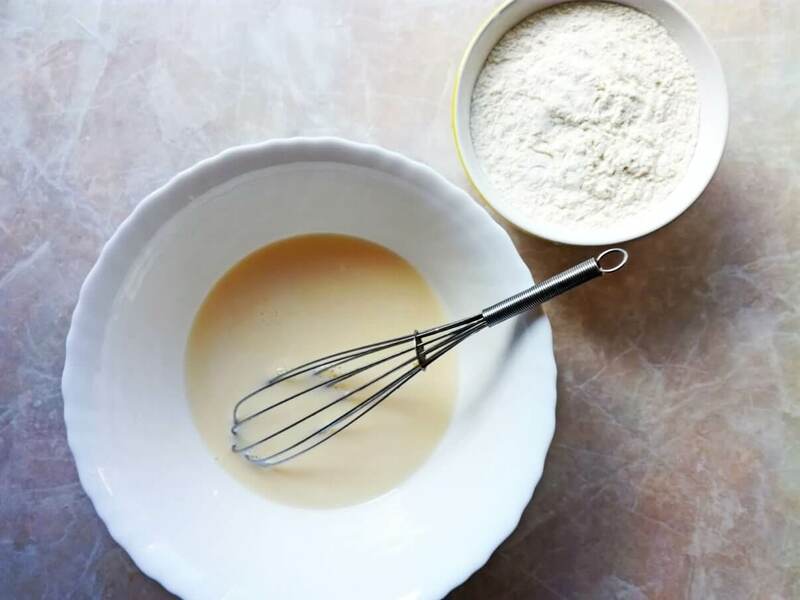 Swirl the pan to make the batter spread evenly and to create a thin circular layer. Cook the pancake over medium heat, around 1 minute. Then turn it over with a spatula and fry for around 30-40 seconds on the other side, until golden. Fry crepes until all batter is used up. Oil the pan in between frying as needed. Cottage cheese is a soft, lumpy fresh cheese with a mild, slightly acidic flavor. It resembles the consistency of ricotta. This cheese is very popular in Ukraine. If you can’t find cottage cheese, you can try to replace it with hard tofu, mascarpone or ricotta. 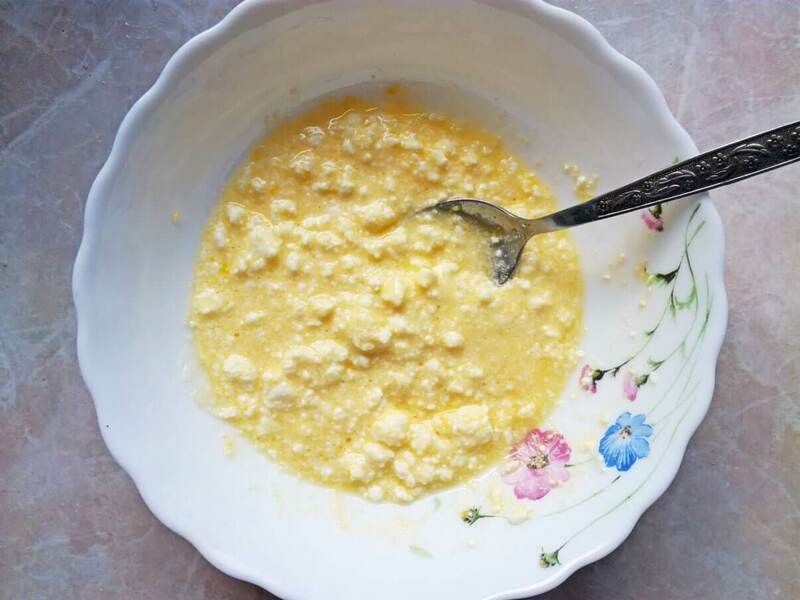 Put the cottage cheese in a cheesecloth and squeeze out the liquid, as much as possible. Transfer the cheese to a bowl. Grease it with sugar and an egg. Mix the ingredients until smooth. P.S. Do not make the filing beforehand as cottage cheese can produce liquid again (if you leave it for some time). 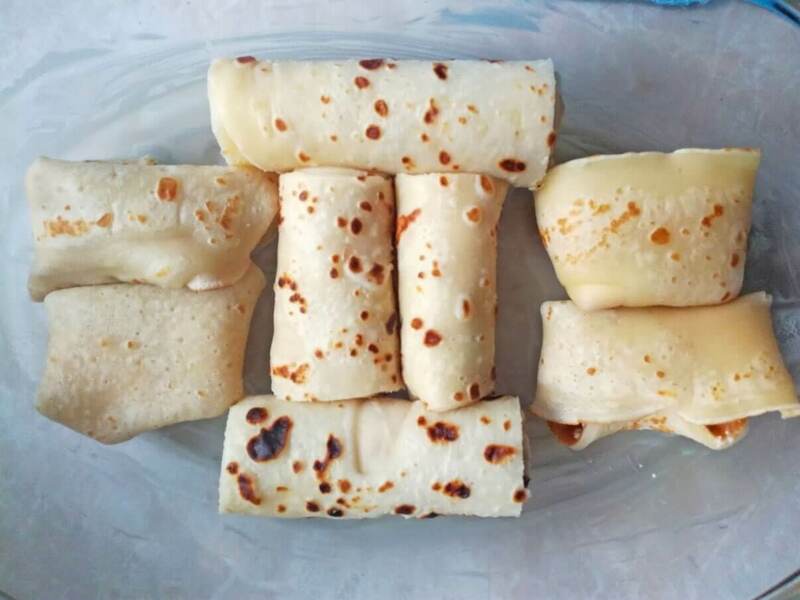 Cut each pancake into 4 pieces. 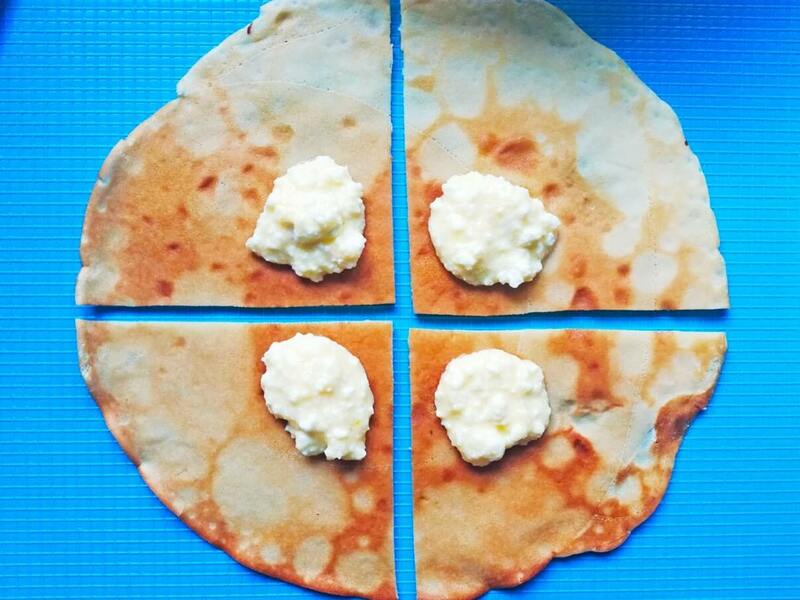 Put the cheese filling above each piece of the pancake (near the edge) and spread it evenly. Roll the pancakes gently, tucking in each side to prevent the filling from falling out. Put one pancake without filling on the bottom of your baking dish. Slightly grease it with melted dairy butter. 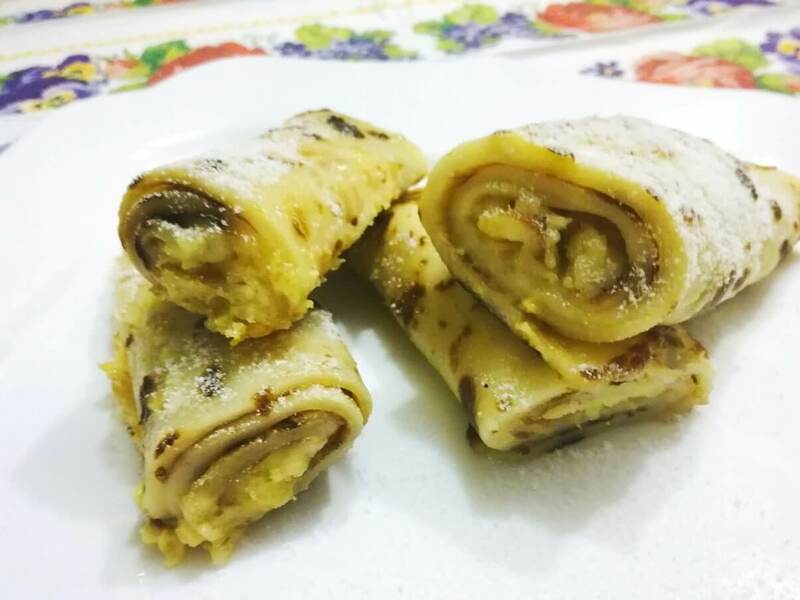 Arrange stuffed pancakes above, in a dense layer. Generously grease each layer of crepes with melted dairy butter to prevent sticking of pancakes. If you wish you may top each layer of pancakes with sugar to add more sweetness. If your baking dish does not have a lid, then you can cover your stuffed pancakes with one more pancake without filling. 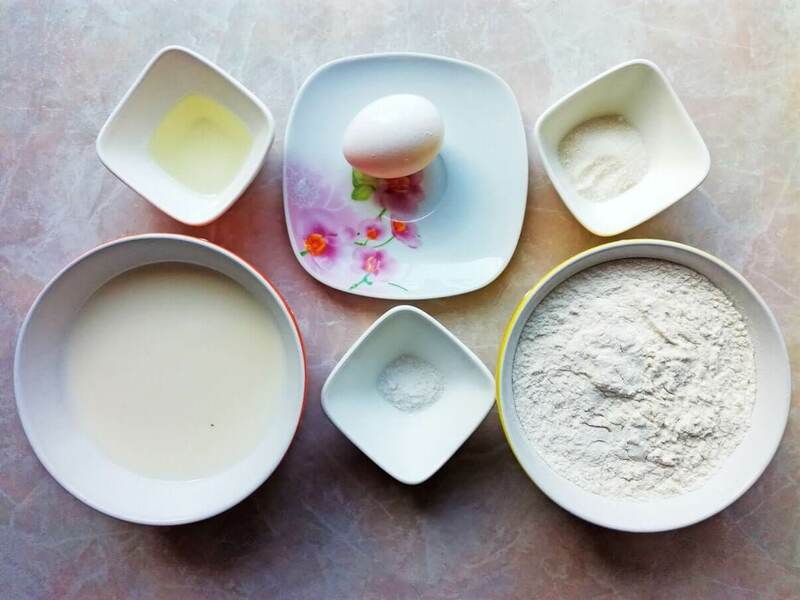 Put the cake in an oven and bake at 160°C – 180°C (320°F – 356°F) for 1 – 1,5 hour to let the pancakes cook thoroughly, become super tender and puff up nicely. If you have time, then it’s even better to cook them at 70°C – 100°C (158°F – 212°F) for 2-4 hours. 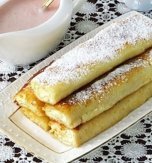 Top cooked cottage cheese pancakes with powdered sugar. 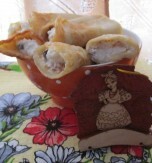 Serve nalysnyky warm with a generous dollop of sour cream. 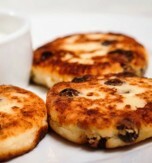 Have you liked the recipe for cottage cheese pancakes?